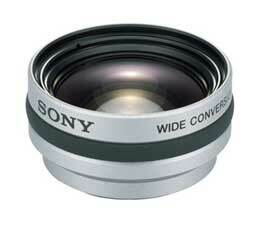 With Sony’s VCL-DH0730 wide-angle 0.7x lens, you’ll never miss part of a shot. A high grade lens that is ideal for panoramic views, the VCL-DH0730 also maintains sharp focus close up. It delivers clear details even up to the edge of an image and its rugged aluminum housing provides superb durability. The VCL-DH0730 is the ideal lens for all of your wide-angle shots.